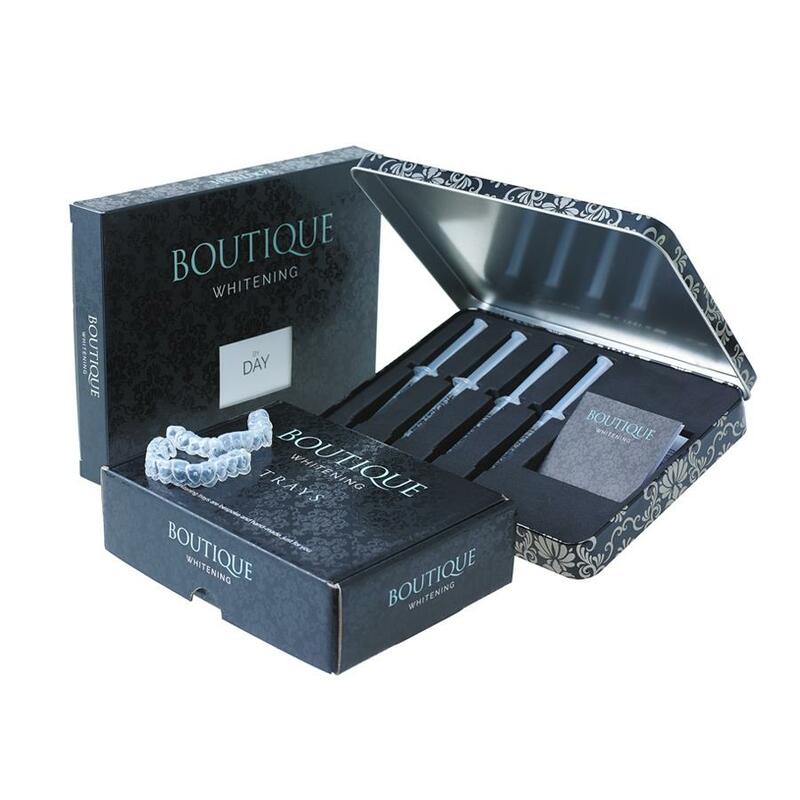 Boutique Teeth Whitening Gel provides a safe, effective way to enhance your smile utilising the highest quality whitening gel. Boutique – By Day is a 6% hydrogen peroxide gel, containing potassium nitrate which is a proven desensitiser. Worn for only one hour per day, this gel is designed for patients who want a fast, comfortable and convenient solution to whiter teeth. This gel releases large quantities of oxygen free radicals (which whiten the teeth) over a short period of time, therefore whitening the teeth, both quickly and safely. Fast results, which are visible in less than a week. Boutique- By Night is a carbamide peroxide gel available in a 10% or 16% , containing potassium nitrate, which is proven desensitiser. 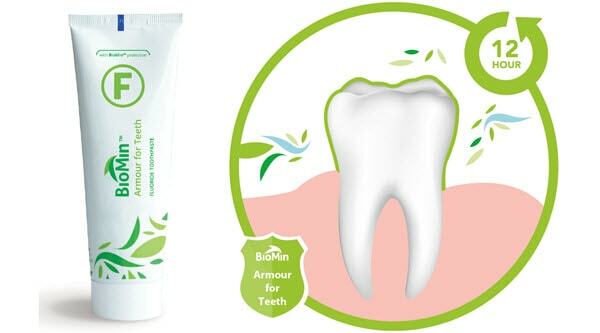 Worn for 4 hours, or overnight, this gel is designed for patients who would prefer to not have their custom trays in during the day and would prefer to whiten whilst they are asleep.This gel releases oxygen free radicals (which whiten the teeth) over a longer period of time, due to its sustained release. This gradual approach will still give fantastic results, due the length of time the gel stays active. 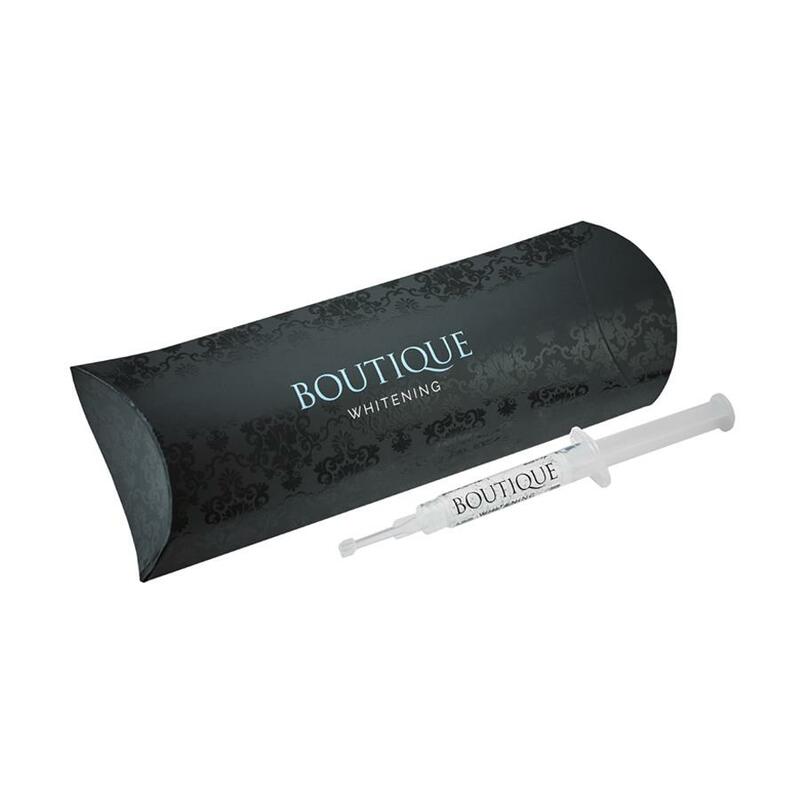 We stock a range of Boutique refills, both Boutique By Day and Boutique By Night are available as individual syringes, packs of 2 and packs of 3. As with all teeth whitening products, some patients may experience teeth sensitivity issues after treatment and BioMinF toothpaste may ease this. It's a new toothpaste incorporating calcium, phosphate and fluoride within the bio-glass structure. The particles are only 5µm in size allowing for greater physical occlusion of open dentine tubules and less abrasivity to the enamel. The tubules develop acid resistant fluorapatite and patients report a rapid reduction in sensitivity, less staining and improved quality of life.